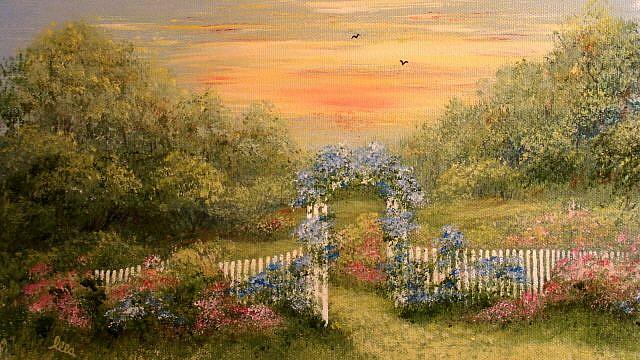 This painting is of a lovely sunset at the edge of a beautiful garden. My passion as an artist is to paint scenes that are peaceful and soothing to the soul... an escape from our every day stress and burdens. The greatest compliment that a viewer can pay me is to say, "I want to go there!"